Tom Clancy’s The Division 2 landed in the looter-shooter market at an interesting time. After the disappointment that was my time with Anthem, I was admittedly hesitant to jump on board and after playing the beta I was concerned that The Division 2 was shaping up to be much of the same – a formula that I was growing tired of. Much to my surprise, though, The Division 2 stands as one of the best examples in the looter shooter genre to date, building on its predecessor while providing players with some strong shooting mechanics, a bevy of loot and customisation options, and enough content to justify the initial purchase. 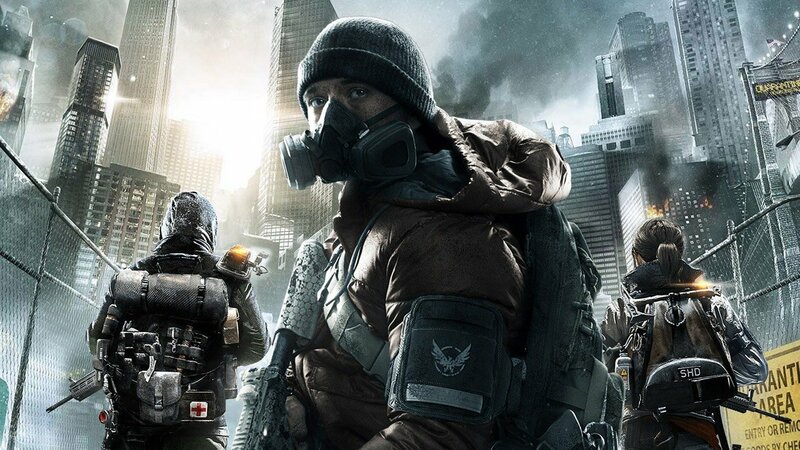 Set seven months after The Division, the sequel continues the same storyline: the Green Poison outbreak has seen smallpox spread across the United States of America, leading to a massive rise in criminal activity and a civil war that causes almost every city in the once-great country to collapse into chaos. After their hard work in Manhattan, your custom-created, nameless Agent of the Strategic Homeland Division answers a distress call from Washington, D.C., where they’re tasked with not only rescuing the U.S. President from the wreckage of Air Force One but also finding a cure for the Green Poison in order to get the country back on track. It’s not a groundbreaking plot by any stretch of the word, but it’s so easy to follow that it keeps the gameplay well and truly in focus. As with the original title, The Division 2’s shooting mechanics are tight, responsive and consistent, and the cover mechanics around which so much of the game is based are just as impressive; it’s easy to stick to – and move between – cover, and the system feels natural and intuitive. Of course, some players may find themselves frustrated to know that they’ll play so much of the game behind cover, but they can take solace in the fact that the cover and shooting mechanics work together fantastically to create a game that controls as well as this. As with any looter-shooter, you’ll find yourself collecting, using and upgrading new weapons as you go along, and that the game’s enemies will scale alongside you, ensuring a consistent challenge. Unfortunately, this means that using less powerful weapons against later-game enemies – whether it’s because you haven’t found something better yet, or otherwise – can turn those enemies into “bullet sponges”, absorbing bullet after bullet to the point of pure frustration. In spite of this, the fact that enemies will now flinch, fall and react according to the manner in which you damage them makes the action feel somewhat more realistic and satisfying. The Division 2 also provides a wide, wide variety of both new and returning armaments including assault rifles, pistols, shotguns, sniper rifles and all manner of explosives. It should also be noted that the city of Washington, D.C. is a refreshing change from the original game’s snowy New York City. New weather conditions, a slightly larger map, and a wealth of random encounters combine with more minor touches such as wildlife sitting throughout the settlements to create a map that’s always got something to offer, and a civilisation that feels like it’s been lived in. This builds upon the lore of a city in ruins trying to rebuild itself with the resources both left and regained. While the graphics themselves won’t blow anyone away, impressive lighting and detailed environments keep things smooth and consistently interesting, contributing to a strong sense of world building throughout the entire experience. The Division 2 complements the ability to level up your weapons with a new weapon modification system that provides almost-endless options when it comes to personalising your armaments to fit your play style.. You will also earn Skill Points and SHD Tech tokens after each mission to upgrade both their Agent and their arsenal: Skill Points allow you to upgrade stats such as their ammo capacity or the number of medkits you can carry at any given time, while SHD Tech allows you to purchase technological aids in the form of drones, launchers and turrets,all of which can then be customised in different ways. It’s a nice addition to the game, especially as you progress and find yourself needing these upgrades in order to remain effective on the battlefield. Massive Entertainment didn’t limit this added depth to the storyline, though: despite its similarities to its predecessor, The Division 2’s endgame contains enough new content to ensure that it is one of the most interesting of its kind. Alongside the Dark Zone also found in The Division, The Division 2 offers three Specialisations – the Demolitionist, the Sharpshooter and the Survivalist – which you can switch between at any given time once you’ve reached the level cap. These three classes each come with their own signature weapons and skill sets, which adds significant depth (and yet another grind) to the endgame. The Dark Zone remains quite the same as it was in the original: you enter either solo or in a party to take on other players as well as AI-controlled enemies to look for the best loot available, but it’s all at a great risk considering that death at anyone’s hand will see you lose everything you’ve gained within the Dark Zone. It’s an interesting experience that relies on your wit and skill as well as your curiosity and exploration, and it’s always evolving; there’s always something new to do, find or see. Although The Division 2 is fantastic, it’s not perfect. It comes with the looter-shooter territory, but some players may find themselves bored with some of the more repetitive mission structures as they near the end of the story. While both main and side missions include small variances in terms of structure, most missions devolve into going to a location and taking out a certain number of enemies. Furthermore, although the game generally performs quite well, players will find some random texture pop-in issues as well as odd enemy clipping, and the generally strong and intelligent AI is prone to hiding in plain sight every now and then. None of these concerns outright ruin the game, but they’re there and they can’t be ignored. Service-based games such as these are never easy to review, based on the fact that they are evolving entities with an expanding purpose, telling a story and providing an experience tailor-made for those looking to come back time and time again. The Division 2 is a very solid entry into a market that’s already got Destiny and Anthem, and it continues along the same path by offering solid, finely-tuned mechanics alongside addictive gameplay loops and the constant pressure to find better loot. The Division 2’s smooth mechanics, solid graphics and incredible variety make it one of the finest and most well-rounded entries into the looter-shooter market to date, and it’s left me well and truly excited to see what’s to come. Matt reviewed The Division 2 using a PlayStation 4 code purchased at retail. Matthew is an aspiring entertainment journalist, who loves all things games, TV and film. He aims to write about games as a way of discovering and informing the public of the power and importance that games hold in our society of depicting beautiful imagery and telling powerful stories.